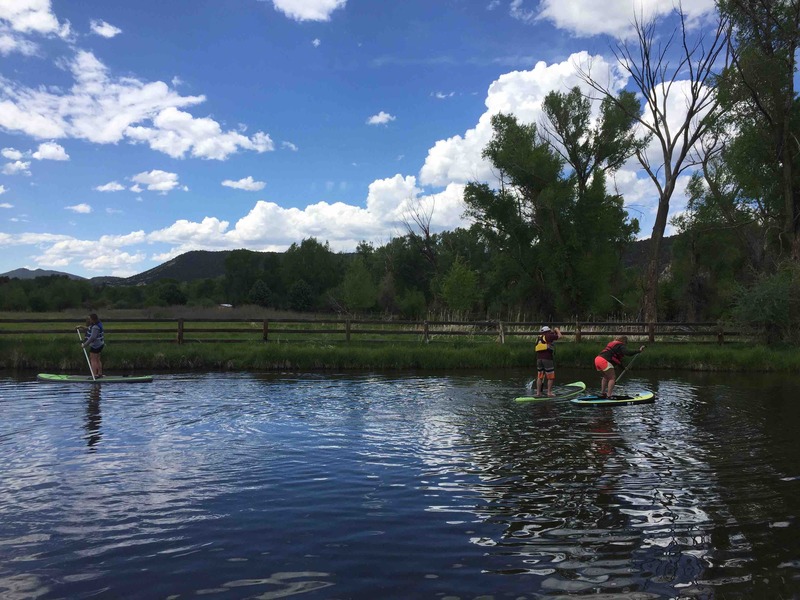 Learn to standup paddleboard at camp! We have various locations of still and moving water to learn and hone your skills. Those that can progress through all the levels earn a spot in the “Northstar Paddleboard Posse” for trips down the Roaring Fork flat-water through the beautiful preserve. Paddleboarding can be challenging, but for those with good balance, it is awesome to stand atop the water and zip around. Try your teamwork skills with two campers on the larger paddleboards. Races, challenges, and games can all be part of a paddleboarding activity.